Sitting in my third grade classroom on January 6 after returning to school from Christmas vacation, I recall my teacher telling us that it was the Feast of the Epiphany. She explained that it was the day the wise men visited the Christ Child bearing gifts of gold, frankincense and myrrh. This news disturbed me. It shattered my vision of the Christmas story. We had already packed away our Christmas tree and manger. I thought the wise men were part of the miraculous Christmas morning in Bethlehem, bearing gifts along with the singing angels and quaking shepherds. After all, the wise men were a part of every manger scene. To make matters worse, my teacher went on to tell us that by the time they arrived, Jesus was probably around two years old and living in a house. This was TMI for me--a big disconnect after many years of sitting in front of the manger under our tree, gazing on what I thought represented the birth of our Lord Jesus Christ. Other than that jarring third-grade moment, I am ashamed to say I’ve not given the Three Kings from the East a lot of thought. This year is different. I am helping to host an Epiphany party so I did some research to be more knowledgeable about the historical events of the Epiphany. The word Epiphany means manifestation, or showing forth. It announces to the world, the mission of Jesus Christ through the revelation of Christ to the gentiles in the persons of the Magi. Scripture attests to the wise men visiting Jesus, bringing gifts and adoring him but many of the details can only be surmised. 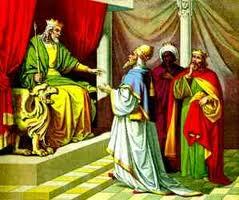 The Wise Men are also known as the Three Kings or Magi. In Matthew, Chapter 2, we read about the “wise men from the East” who came to Bethlehem to adore Jesus. According to New Advent’s Catholic Encyclopedia, Magi were priests from the sacred caste of the Mede that was likely still flourishing during the time of the birth of Christ. They may not have been actual kings. No Church Father held the Magi to be kings and when Psalm 71:10 stated, “and all the kings of the earth shall adore him,” it was not meant as a liturgical interpretation. The Catholic Encyclopedia explains further that the Gospel mentions three gifts but never states the number of wise men. “Some Fathers speak of three Magi; they are very likely influenced by the number of gifts. In the Orient, tradition favors twelve.” Early Christian art shows various numbers. Even the names of the Magi are cited with slight variations and even completely different names, but among the Latin Church they were given the names: Gaspar, Melchior, and Balthazar. 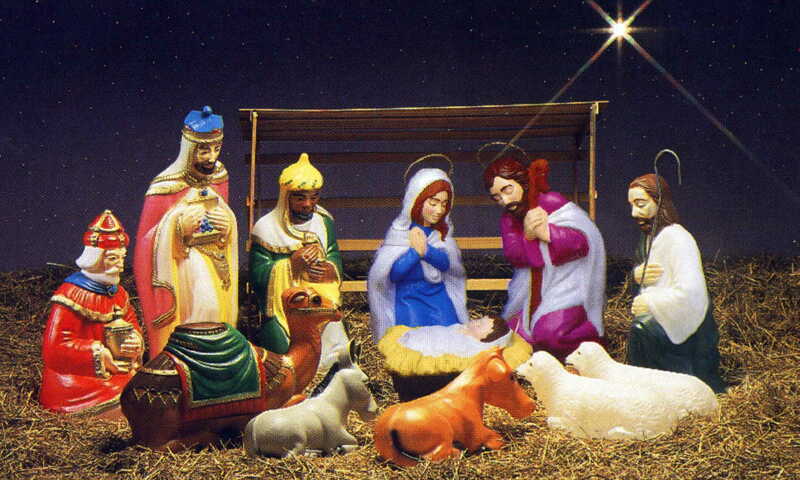 Scripture indicates that the Magi thought a star led them. “Now when Jesus was born in Bethlehem of Judæa in the days of Herod the king, behold, there came wise men from the east to Jerusalem, Saying, Where is he that is born King of the Jews? For we have seen his star in the east, and are come to worship him..” (Matthew 2:2). It is generally believed to mean east of Palestine although a specific land was never determined. The Magi must have been familiar with the Hebrews prophesy of a Messiah coming but it is also considered likely that they must have received some sort of Divine revelation in order to understand that the new star in the sky meant the birth of a king who was also God because they adored him as God. From King Herod’s in Jerusalem the wise men followed the star about six miles south "and entering into the house, they found the child". Given that the stable was emergency accommodations, no one supposes the Holy Family were still there. “And having been warned in a dream not to go back to Herod, they returned to their country by another route” (Matthew 2:12). The Magi adored the Child as God, and presented him with gold, frankincense, and myrrh. Scripture does not attribute particular meaning to these gifts but Biblical scholars and theologians have offered possible significance. These were standard gifts to honor a king gold as a precious metal, frankincense as perfume or incense, and myrrh as anointing oil. The latter has been said to prophesy his death on the cross since myrrh is an expensive spice, used for making perfume and was also used for anointing the dead. 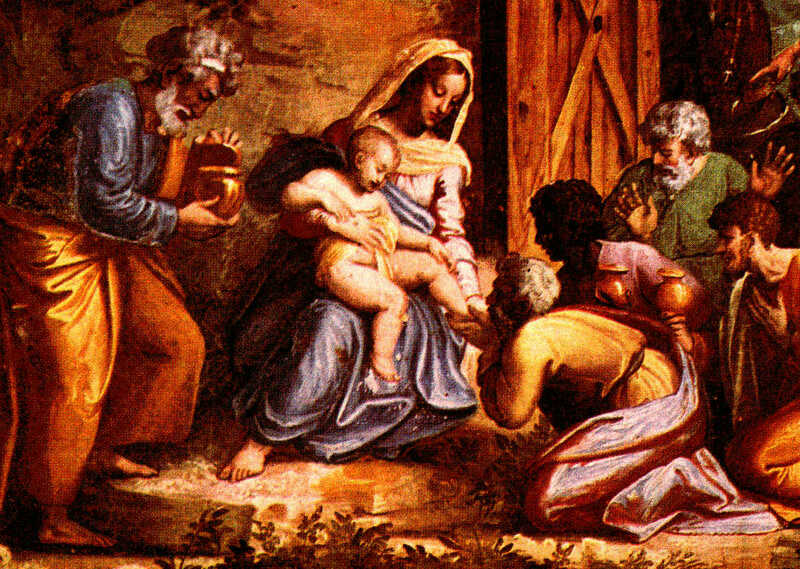 Whatever the details of the Epiphany, those called to worship Jesus as a baby were the wise men who were not among the chosen Israelite race, and the poor shepherds. What does that mean? To me, it speaks of faith and means being open to God and seeking to go where he leads. The wise men came from afar and trusted that the new star would lead them. The shepherds were just there, living their humble lives and unexpectedly called upon to witness an extraordinary event. I think it’s about desiring God and not hesitating when he calls. So regardless of the details, the wise men are a big part of the Christmas story. “For unto you is born this day in the city of David a Savior, who is Christ the Lord” (Luke 2:11). They may not have arrived on the specific day, but they heard the good news in their hearts and followed the star. May you seek God with your whole heart and let no obstacles get in your way, so that you will find him waiting for you. Thank you very much for this post, dear Patti Maguire. Your reflections are quite insightful. What interested me most was variety of articles on Catholic faith. Thank you. Do you also have a few models of faith, who can be our reference point for reflection during this Year of Faith? Above all thanks for you hard work and sharing of faith. My hearty congrats for you to bring up 10 children, that's amazing - a blessing of God indeed. May God continue to bless you. Thanks so much for your kind words. My models are the saints. They give me inspiration and examples to follow. I received great inspiration from our priest at Mass today too. 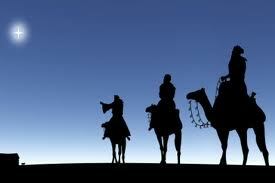 The 3 Wise men desired the Christ Child, pursued him, and found him. An example for us all. God bless you!